Some months back, I received a few samples from an upcoming fragrance company based in London called Signature Fragrances. I’d recorded my initial thoughts on paper back then, but never got round to posting as I was in the midst of final examinations. And then summer came by and I had to deal with moving back to Singapore, and finally preparation for my move to the USA. But reading Lukasz’ reviews of two of their fragrances over at Chemist in the Bottle reminded me of my backlog, and since I had some time to spare, I decided to post my thoughts. 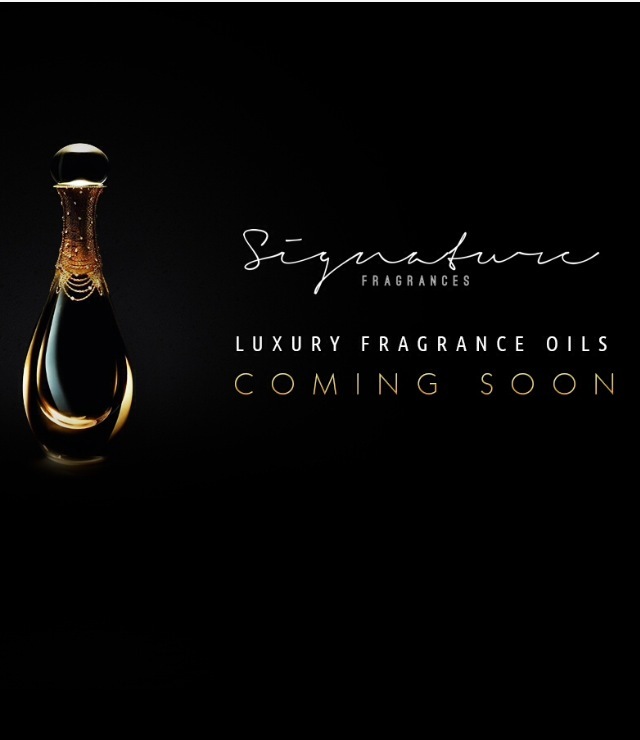 Even now, though, the brand hasn’t been properly launched, since the webpage still lists the fragrance oils as “coming soon”. Well, I guess we all operate on different time scales. So, here are my thoughts on three of the fragrance oils. As a warning, let it be said that it starts out rather rough, but then gets better. If you haven’t already read my interview with Mark Buxton, do pop on down to Basenotes to read it! You can click here to be directed to it. Also, this wasn’t in the article, but I had a fantastic time hanging out with Sabine who writes over at Iridescentrics. It was especially memorable for me because this was the last opportunity I had to meet up with a dear friend before leaving the UK. We talked about everything and everything, both in Roullier White and over dinner at the Italian restaurant near by, which served quite an excellent pasta. 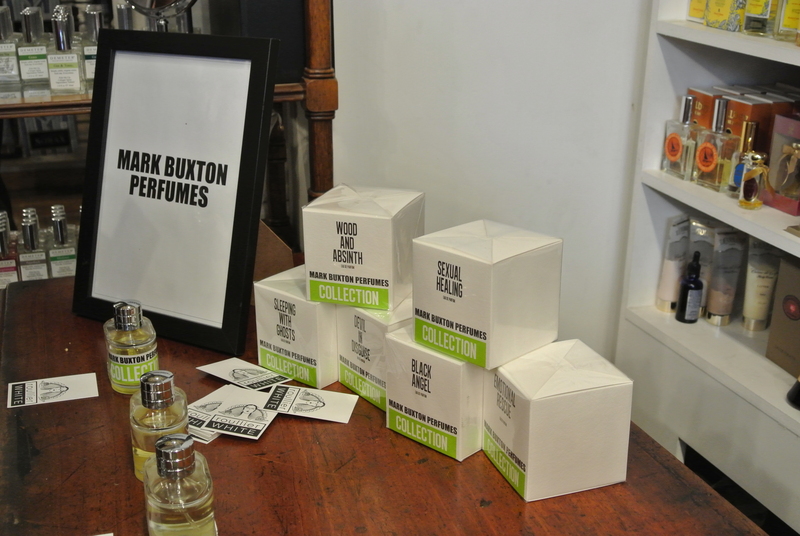 Let me know what you think of Mark Buxton and his fragrances! Also, should I do more Fun Interviews with perfumers, or stick to the serious stuff? 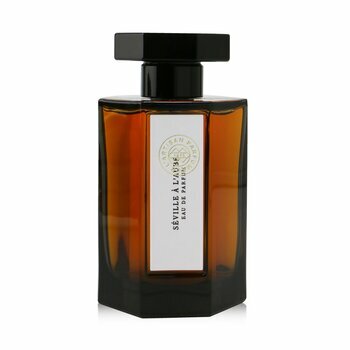 Moving to the USA… and some fragrant musings. I haven’t posted in a gazillion years, not because I don’t want to, but because I’ve been swamped with my move to the USA. First there were the visa applications, which involved so many bureaucratic processes that I must be wholly covered in sticky red tape at this point. Then there was the packing – how do you fit your entire life for one year in one suitcase that can only weigh 23kg? And finally, there was the meeting up with friends and spending time with family whom I wouldn’t be seeing for an entire year. So yes, blogging kinda took a backseat. Right now, though, I’m sitting in a room in New Haven, Connecticut, with plenty of time to spare before University Life starts (I’m doing a Masters program at Yale University), so I can share a bit about what it’s like down here. After a grueling flight that lasted more than 24 hours, followed by a 3.5 hour shuttle bus ride from JFK Airport to New Haven, I was exhausted beyond belief. Checking in to the student dormitory wasn’t the breeze I expected it to be, as I had to lug my suitcase up and down three times – the first time I went up, I realised they hadn’t given me the keys to my room, the second time, I thought my keys didn’t fit, so I went down again to get them changed, whereupon they checked and told me that it DID fit, so I went up a third time and voila, fit they did. I was pretty sure I smelt quite funky at that point, so the first thing I did was to hit the showers. After getting cleaned up, and upon returning to the room, I noticed that the room smelt rather strange (and it still does), with the odor emanating from the mini-fridge that sat in the corner. I suppose that’s what you get when you let mould grow in a fridge and when you leave a jar of mayo to rot over the summer. Not the most fragrant of starts. 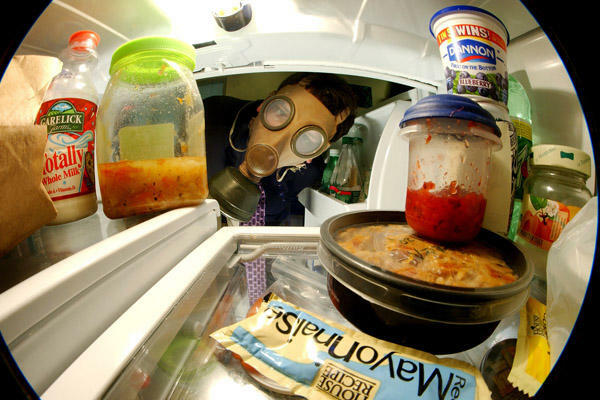 I cleaned out the fridge, but the smell still remains. I’m just waiting for Tuesday to arrive, when I can take the bus out to the nearest mall (which is an hour away) to perhaps get some room scents from Bath and Body Works. Wearability. Would I wear these fragrances often? Being the fickle-minded person that I am, I rarely repeat the fragrances I wear in a month, so the fragrances I chose would have to be those I wouldn’t mind wearing more frequently. Uniqueness. The fragrances had to be somewhat different from one another. No point choosing 10 vetivers to wear, or 10 tuberoses. Likeability. I had to really like these fragrances, which seems kind of like a no-brainer, but when you’re limited to 10 choices, you want to make sure that you do feel really happy whenever you wear any of them. Versatility. These were the fragrances that I had to wear all the time, be it summer or winter, day or evening. They had to be fragrances that I could wear whenever, wherever. Emotional Resonance. The fragrances have to move me emotionally. So, what fragrant selections did I make for my stay in the USA? The diva tuberose that always brings me much joy, when I want to smell resplendent and to stand out. 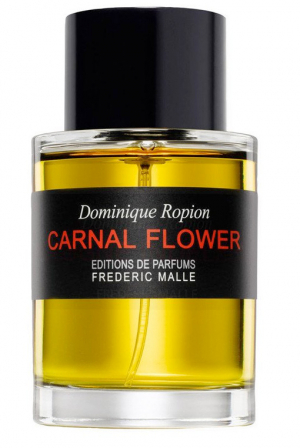 I have a thing for tuberose, and Carnal Flower is one of the best. L’Eau d’Hiver is what I wear when I just want to smell good without offending anyone’s dainty olfactory sensibilities. With its amorphous, sheer haze of iris and heliotrope, it makes for excellent wearing in the heat. Is there anything quite like bewitching as Ormonde Jayne Woman, with its unique note of black hemlock and woody witchiness? I wear L’Heure Bleue everywhere, even when I’m out doing grocery shopping. I figure this is the one I’ll run out of first. This ethereal beauty is what I pop out when I’m feeling melancholic, sometimes when I’m lonely. Is there anything quite as cheerful as Séville à l’Aube? This orange blossom bombshell ticks every one of my boxes and lifts my spirits whenever I wear it. There’s something dirty and skanky about this rose that seduces me. I had to have at least one green scent with me, and this was it. Cherry-tinged iris, powder and blush. For a throwback to the past. My go-to powdery animalic scent that’s like a fur coat (not that I wear fur). So that was it, my perfume selection for my move to the USA! What perfumes would you bring along with you if you had to live abroad for a year? What criteria would you use to help you make your choices? 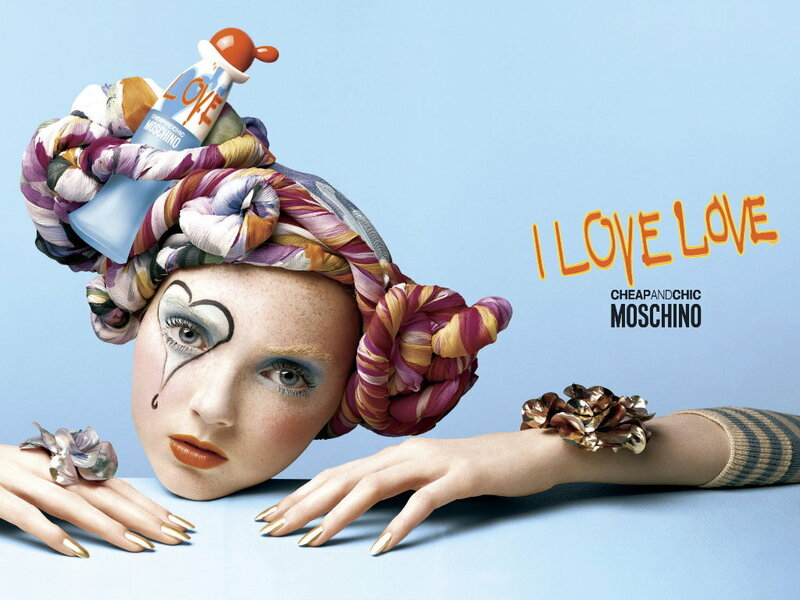 It’s often far too easy to rip apart cheap designer fragrances with one’s words, much less fragrances that call themselves “cheap”, or worse still, flankers with ditzy, nonsensical names like Cheap & Chic I Love Love (henceforth referred to simply as I Love Love). The question is: do I love I Love Love or do I not love I Love Love? (How’s that for a mouthful of love?) We’ll get to the answer near the end of this review.